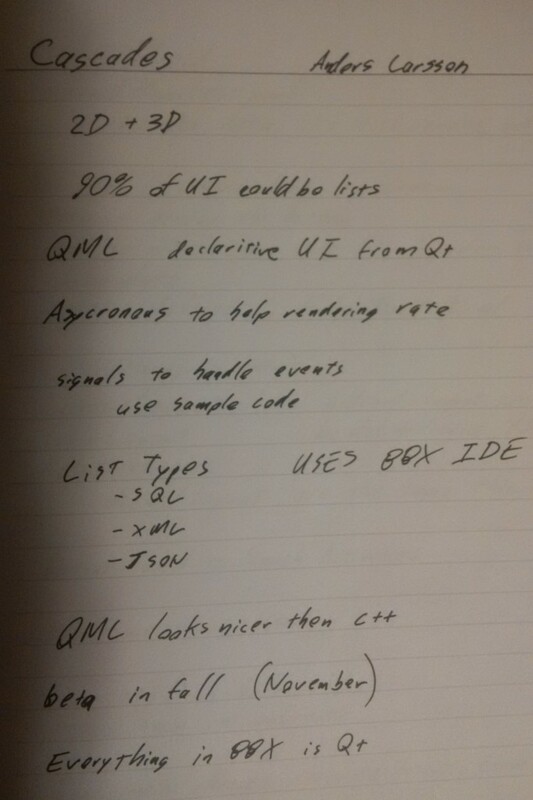 Flipping through an old notebook, I came across my notes on BlackBerry Cascades from BlackBerry DevCon 2011. This was half a year before the framework was released, and a good year and a half before the launch of BlackBerry 10. Since then I have become an expert at Cascades, but it is interesting to see some of my earlier thoughts.